Eleanor Lou Thomas was born May 24, 1937 in Burlington, VT, the daughter of J. Kinsley Thomas and Beulah (Ayer) Thomas. She graduated from BHS ’55 , UVM ’59, and received a Masters Degree from Teachers College of Columbia University, NY. As a certified medical laboratory technologist she was employed at Hackensack Hospital in NJ, Washington Hospital Center, Washington, D.C., Mary Fletcher Hospital, Burlington, VT and the University of Vermont. She taught and was Director of the School of Medical Technology at St. Michael’s Medical Center, Newark, NJ. As Associate Professor of Biology, she was the Director of the Medical Laboratory (AS & BS) programs at Norwich University. As Assistant Professor, she was the Director of the Medical Laboratory Technology Program at Chesapeake College, Wye Mills, MD. She was a former member of the American Society of Microbiology and a registered clinical microbiologist. She served as an officer /board member of the VT, IL, & NJ state societies for Medical Technology. As a member of the American Society for Medical Technology she served as the Microbiology Section Secretary, Vice-Chairman & Chairman (Education Section) and as an editor for the American Journal of Medical technology. She served as site surveyor for accreditation of several medical laboratory education programs. As an ASMT member, she participated in reviewing medical laboratory curriculum self-studies for the National Accreditation Agency for Clinical Laboratory Sciences and also in performing site visits to schools of medical laboratory science for NAAACLS. She was selected to appear in the 1966 Edition of Outstanding Young Women of the Year. 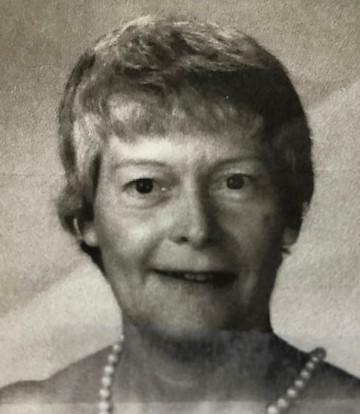 She was a former board member of Manor Woods Condominium Association in South Burlington, VT and a 15 year volunteer for ECHO Museum. As an unusual or unexpected accomplishment, she received a plaque for her first solo flight in a Piper Cherokee having put in 40 hours of flight time. For thirty plus years, she enjoyed summers at her camp on Lake Iroquois. Her many interests included gardening, reading, photography, music, astronomy and genealogy. She enjoyed them all. She will also be remembered for her wry sense of humor. Heartfelt thanks for the compassionate care provided by the University of Vermont Medical Center Medical ICU (Mary Fletcher Hospital to her) and Converse Home where she resided for the last 2 + years. She leaves a sister, Carol T. Pratt of CT, a niece, Christina P. Needham (Michael) of Ohio, a nephew, Steven T. Pratt (Sandra) of CT, great nieces Riley, Sophia & Ashley and great nephew Maxwell.. Relatives in MA, NH & AZ. Memorial service to be held at a future date. Final resting place, Lake View Cemetery. Donations in her memory may be made to Converse Home, Inc, 272 Church St., Burlington, VT 05401 or to the University of Vermont. Website: go.uvm.edu/elthomas OR checks made out to the UVM Foundation- note in memory line: in memory/honor of Eleanor Thomas and sent to UVM Foundation, 411 Main St. Burlington, VT 05401.